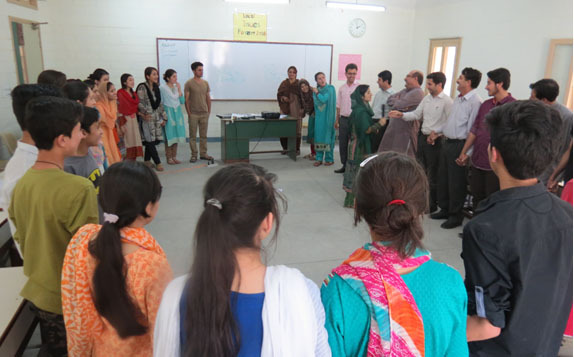 Noor Bib, Mehrun Nisa and Anila Bano worked together to establish the Local Issues Forum (LIS) and the Educational Space Outside Classroom (ESOC) program. 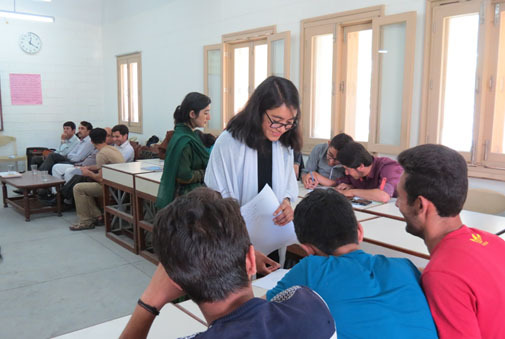 They encouraged young people from across District Ghizer (Gilgit- Baltistan Pakistan) to make presentations about important local issues to help spread awareness and provide a valuable learning experience for local students. The GoMakeADifference volunteer team identified that Ghizer is a community in which teenagers are not usually given the opportunity to speak out on issues that are important to them. Noor, Mehrun and Anila set out to provide them with a platform through which they can make their voices heard. The students who took part in the Local Issues Forum were pleased to have been involved, experiencing a positive impact by realising the importance of raising their voices on important issues. The Educational Space Outside Classroom program aims to serve an ongoing benefit as it will continue to provide local students with the opportunity to study in groups and hold discussions about crucial topics. Working on the LIS project with GoMakeADifference funding provided the team with a unique bonding experience as the members came together to lead the conference and make a difference in the world. Thanks to the positive feedback and appreciation by the forum participants, the team was encouraged to give back more to their local communities. We are humbly proud of our team spirit and taking the cultural considerations fully into account throughout our journey.